While the votes are counted on our 2014 Review we will bring you a short series of articles where contributors to the Replay Gamer website share their best games of 2014. First up is website editor Gordon Sinclair. Voting in the Replay Gamer 2014 Review is open until midnight on New Years Eve, so head over to the questionnaire and let us know your thoughts on Game, Film, Album and more ‘Best Of 2014’ awards. Casting your votes could win you tickets to Play Blackpool and a bundle of PC games! It is fair to say that I was blown away by the beautiful graphics and simple control scheme on my first encounter at an indie games event, but the game didn’t stick in my mind and it was only when Sony had one of their occasional sales that I picked it up for just £4.49. Over a month or so the game has had a lot of play and this unfortunately exposes a few limitations (only one location, very basic menus, limited mini games etc). But on the basis of the amount of time I have invested into it, the fantastic controls and the satisfaction of a long shot or double flying in with all of the aids turned off mean it deserves its place in my top 3. I really hope Voodoo/Ripstone continue to work on the game and release updates and DLC asI can see this game being a firm favourite of mine well into 2015. 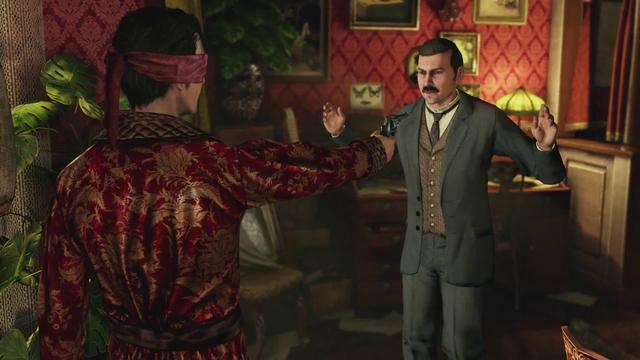 I’m a sucker for a good mystery, so whenever a new Sherlock Holmes game is announced my interest is piqued. C&P:SH is a game that typifies much of gaming in 2014. It is a game that feels very light, has some dodgy mechanics, requires too much trudging and could probably have done with another few months work to get it to a proper state. But regardless it is a game that plays with cause and effect in such a way that drags you in. The outcomes of all of the cases are purely down to your skills in deduction and should you get them wrong, the game will happily send an innocent man to the gallows and carry on regardless. Of course these choices will be reflected as the wider game progresses and it is this moral impact that excites me so much. Not since Rockstar’s LA Noir has a crime game interested me so much. If either game can produce a sequel that incorporates the others best points we will have a game truly worthy of the Sherlock Holmes or Noir name. Despite what I said about HD updates being void on my list, I am going to try and argue the case for Diablo 3 as the best game of the year. Yes this is an update of an older game on new fangled consoles, but D3RoS:UEE(!) is more than that. 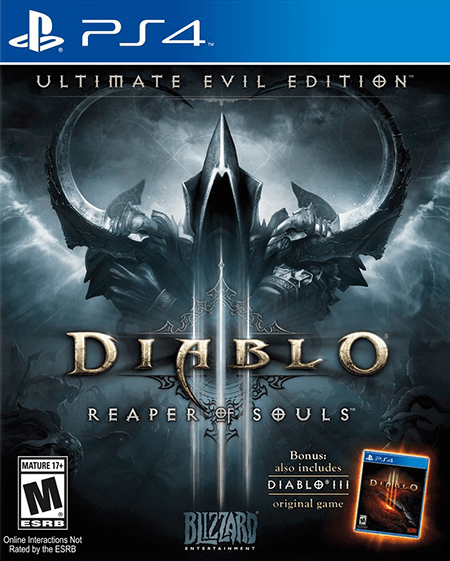 It isn’t a remake of Diablo III as such (though that is included in the package), it is a brand new full length expansion. Gameplay is pretty much standard Diablo fare with lots of killing, collecting and upgrading to be done, but if it isn’t broken don’t try to fix it! But as with my last two picks though, the game is flawed. It is extremely repetitive and not particularly difficult, so you need a hook to keep players interested right through to the end. That hook for me was the fabulous mythological story that was woven into the game. I love story led games and often find a good story getting me through a bad game (Enslaved being a very good example of this) and often find myself seeking out more information (books, films, articles etc) to enhance my knowledge of the particular world the game is taking me to. Whilst Diablo III didn’t get me hooked quite as much as games like God of War did, the fantastic tale of earth being created jointly by Angels and Demons is told extremely well. If you are a fan of the mythology of Gods and Devils or the works of Dante Alighieri et-al, then the slight shortcomings of the game will soon pale away as you get absorbed by a great story-led adventure into the underworld.